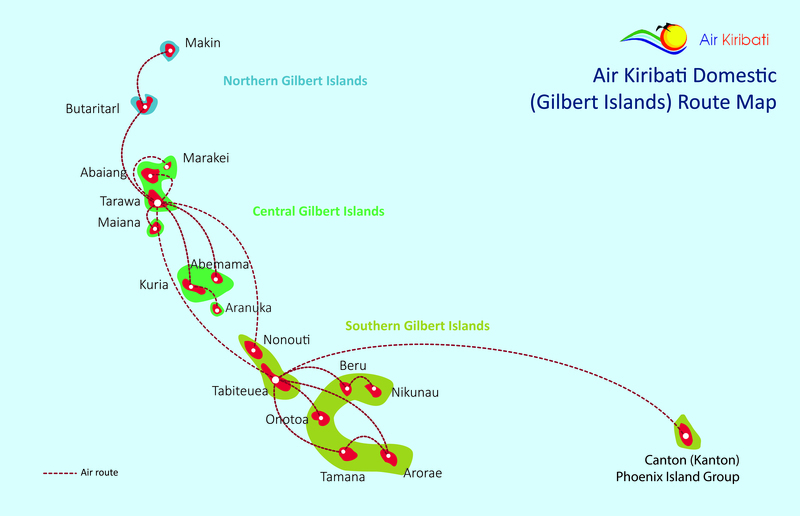 Air Kiribati offers regular domestic routes to all airports in the Gilbert Islands serviced by either the DHC - Twin Otter or one of two Harbin Y12s in Air Kiribati's fleet. To book a ticket on a flight is easy, either by contacting Air Kiribati's reservation team at the KTA - Kiribati Travel Agency in Bairiki or alternatively by contacting one of Air Kiribati's local island agents. For further information contact reservation@airkiribati.com.ki. Baggage Allowance for all domestic services is 15kg. Check in for all domestic services starts 1hour prior to departure and closes 30 minutes prior to departure. Air Kiribati Limited © 2017. All rights reserved.